Shadowgun is one of the most immersive graphical visual experiences on a tablet and even though the action in the game happens in 2350, you’ll be able to enjoy the jaw-dropping graphics pretty soon. The game has been enhanced for the quad-core NVIDIA Tegra 3 chip and if you’re not yet convinced that it’s the right hardware for you, why don’t you just quickly skip to the trailer below. The rest of you might want to know a little more about the quad-core chip itselft. The Tegra 3 is built using 40nm manufacturing technology and has four cores not counting the additional fifth “companion core” which takes care of the not so intensive tasks and allows for better power consumption. “The Tegra 3-optimized version of Shadowgun features console-quality water, enhanced rag-doll physics, particle effects, enhanced shaders and dynamic textures,” NVIDIA explains. But is more cores necessarily better? What is the good and is there a drawback to having a quad-core chip? We’ve answered those questions in our deep look at the NVIDIA Tegra 3. Put shortly, gaming is one of the areas which will get the greatest boost from the new chip, along with browsing, while other more common functions like just navigating into a handset’s menu probably won’t look that drastically changed. 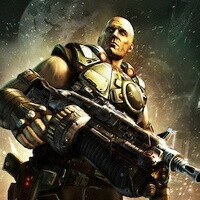 The Shadowgun video showcases the graphical powers of the Tegra 3 brilliantly. The game is available now on the Android Market for $4.99, but before you go on and download it check out this trailer first. Looks just like Shadowgun on my iPhone. seriosly, dude, galaxy on fire 2 HD, infinity blade 1 and 2, modern combat 3, GPA, EPOCH......... all are HD consol game graphics optimised for the A5 chip which even after TEN MONTHS has a more powerfull gpu than that found in the tegra 3. oh and whilst im at it, ios also has shadowgun, and i run it at the same graphical quality on my iphone 4.
and then 'the new ipad' camed out. somehow future android is gone. :O Thats amazing! But Bladeslinger on Tegra 3 and Lost Planet 2 on Tegra 3 still look a lot better! !